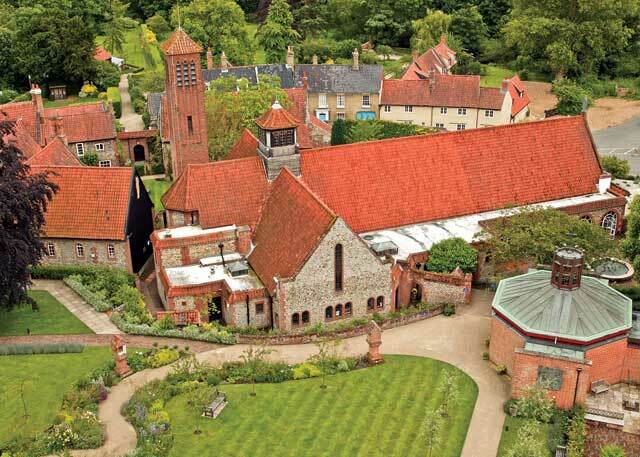 Our Lady of Walsingham is an alternative title of Mary the mother of Jesus. The title derives from the belief that Mary appeared in a vision to Richeldis de Faverches, a devout English noblewoman, in 1061 in the village of Walsingham in Norfolk. In this vision she was taken by Mary to be shown the house in Nazareth where Gabriel had announced the news of the birth of Jesus. Mary asked Richeldis to build an exact replica of that house in Walsingham. Walsingham became known as England's Nazareth.